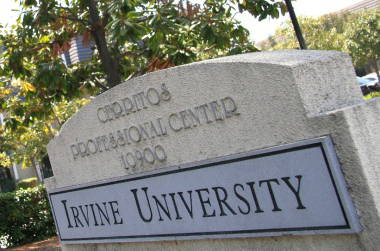 The law study program at Irvine University consists of a four-year part-time course of academic study (84-units) leading to the award of the Juris Doctor (JD) degree and qualification to sit for the California Bar Examination. The JD degree program is marked by emphasis in analytic thinking, oral and written communications development over the entire period of study. The degree program is governed by State Bar of California Committee of Bar Examiners (CBE) Students who are admitted for study must comply with all applicable CBE rules and regulations in order to qualify for taking of the State Bar Examination upon completion of academic study. The law study program is taught by highly qualified retired or practicing attorneys and adjunct lecturers who have extensive experience in their specialty areas. The texts or casebooks used in courses are current editions from leading law publishers utilized in other law schools in California. The law study program is enriched by opportunities for students to intern in law offices, hear lectures from invited speakers distinguished in areas of practice, court commissioners or judges, and others who expand students’ understanding in legal matters from their personal experiences. A Student Bar Association provides students with opportunities for networking, social activities, and mentoring by upper division students. Applicants may qualify for admission to the JD program under one of four (4) following categories. Regular Degreed Applicants – An applicant who has received a Bachelor’s Degree from a state-approved, regionally or nationally accredited, or an equivalent foreign institution will be admitted as a Regular Degreed applicant. Regular Non-Degreed Applicants – Students admitted as regular Non-Degree Applicants are those who have completed at least two (2) years college work, which college work shall be not less than one-half of the collegiate work acceptable for a bachelor’s degree from a state-approved or regionally or nationally accredited institution. Students are also considered non-degree applicants if they have accumulated, with passing grades, at least sixty (60) School semester units (54 of those of substantive academic content) at an accredited or state approved college or university with an average grade at least equal to that required for graduation. Special Student Applicants – Applicants, with fewer than sixty (60) college semester units may qualify as candidates for the study of law. This is in accordance with Rule VII, Section 1, of the Rules Regulating Admission to Practice Law in California. The College Level Equivalency Program Examination (CLEP) will satisfy this requirement. The CLEP Test required for Law School Admissions must include English Composition, along with two (2) of the other four exam categories (Humanities, Mathematics, Natural Sciences, or Social Sciences and History). Students must score fifty (50) or higher on each of the 3 exams. Visit www.collegeboard.com for more information. Irvine University College of Law recognizes the significant contributions made by persons who are in law enforcement to the public good. In recognition, it partners with law enforcement agency officers to provide them with opportunities for the study of law. They are eligible to receive up to 50% discount on all tuition and related fees from initial admission, through subsequent enrollment and eventual graduation. The College of Law is a peace officer friendly campus. There are or have been students from various State and County law enforcement agencies enrolled in the JD program. Current and past students represent an array from the Los Angeles Police Department, California Attorney General’s Office, Los Angeles County Sheriff’s Department, Los Angeles Probation Department, Orange County Sheriff’s Department, and other State or local agencies. All persons applying under the Law Enforcement Partnership Program must be currently employed as a deputy sheriff, police officer, or investigator who are POST-qualified. Recognizing the special work demands imposed upon such persons, all reasonable effort is made to accommodate their schedules to insure that they can complete the courses leading to graduation in four years. Students must pass the FYLSX and complete eighty-four (84) prescribed units with a cumulative G.P.A of 2.0 or higher. Students must apply for graduation and meet all academic and financial requirements. The JD program offers evening and weekend schedules. A student completes an average of twenty-one (21) units each year. The College of Law has developed a four-year law study program with required courses to meet the educational standards as prescribed by the Committee of Bar Examiners (CBE) for eligibility to sit for the State Bar Examination. The law relating to the formation of contracts, damages, statute of frauds, breach, rescission, mistake and ambiguity, liability, third-party beneficiaries, parole evidence, assignment of rights and delegation of duties. The laws relating to civil liability for wrongs to persons and property, intentional wrongs, libel, slander, negligence, strict liability, vicarious liability, assumption of risk, and misrepresentation. An introductory course for entering students, designed to enhance logical analysis of hypothetical situations and increase written competency. An introduction to legal analytical thought, including practical exercises in writing and the fundamentals of legal research that provides a foundation for writing examinations and legal papers. The law relating to sales, liabilities, and remedies of buyer and seller, implied and express warranties, and uniform commercial code. The law and procedure relating to crimes against persons and property, conspiracy, defenses, and the rights of the accused. The law governing the form and type of relief awarded by the courts in law and equity, damages, restitution, reformation, and injunctions. A study of common law civil procedure and its modern development of rules relating to jurisdiction and venue, pleadings motion practice, discovery, and trials, with an emphasis of federal court procedures. The law relating to real property, freehold and non-freehold estates, future interests, conveyancing, use of land, and landlord-tenant relationships. This course presents an overview of major issues presented in the administration of criminal justice, from the initial police investigation of a crime and apprehension of a suspect, through prosecution and trial. The law relating to the classification of marital property as community and separate property, management and control of the community, liability for debts, dissolution of the community, and death of a spouse. The law as it relates to capacity, distribution, interstate succession, formation, alternation, and revocation of wills. The law as it relates to the creation, alternation and termination of trusts, powers and duties of the trustee, beneficiary rights, charitable trusts, and resulting trusts. The law as it relates to the study of the nature and character of business organizations including proprietorships, partnerships and corporations and how they are affected by state corporation laws, tax laws and federal securities laws. This course introduces “Hard copy” use of federal and state statutes and codes, court and administrative case law, ordinances, administrative law sources and decisions and rules, and digests and annotations. This course also explores online searches for legal information allowing students to evaluate the resources one finds, and assess their value compared to traditional law materials. The rules of evidence including relevancy, hearsay and its exceptions, the best evidence rule, impeachment and rehabilitation of witnesses, presumptions and burdens of proof. The study of ethics for the attorney based on case law, and CA Bar rules. The law relating to the formation, termination, and legal consequences of agencies and partnerships. The law relating to the Constitution, Bill of Rights, powers under the Constitution, Due Process and Separation of Powers. Along with the CBE generally prescribed curriculum, the College of Law requires additional elective units to be completed to develop a well-rounded law student. Students are expected to complete twelve (12) elective units to complete the College of Law Juris Doctor degree program. The College of Law offers a variety of elective courses to broaden the law student’s breadth of knowledge as well as develop legal specialization. Some elective courses might not be available due to scheduling over the period of time students are enrolled. 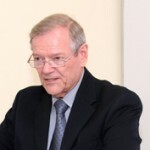 Intensive review of legal research techniques and methods in development of pleadings, legislations, law review articles and authority for casework in such areas as torts, contracts, environmental law, administrative law, criminal law, and constitutional law. This course is the law as it relates to admission requirements, exclusion, deportation, enforcement agencies, citizenship, and naturalization. Development of confidence in presentation of a case in court; methods in picking a jury; delivery of summation; client control; Extensive use of video to eliminate negative styles of personal habits in speech and body language that detract from effective representation of a client. The law as it relates to the major provisions of tax legislation, including cases and regulations examining their impact on individual taxpayers, businesses, investments and retirement plans. The emphasis is on strategic tax planning for investments, business entities, and individual planning opportunities. This presentation is designed to meet those needs by identifying features of recent developments having special meaning to the tax practitioner and return preparer. Practical solutions to problems of the general practitioner and tax planner will be emphasized. This course examines the law as it relates to intellectual property law core subjects: patents, copyrights, trade secrets, and trademarks. This course examines fundamental principles, their underlying policies, and how the laws inter-relate. Current legal issues in NAFTA and similar international treaties governing corporate governance and commercial relationships in a globalized world; emphasis on cross cultural understanding of contracts, partnerships, and other business relationships. This course covers the law as it relates to federal bankruptcy law. Students will learn about the rights and duties of debtors, together with the rights of secured and unsecured creditors, under the Bankruptcy Code. It will focus on the policy considerations that underlie the code, and the provisions of the code that apply in both business and consumer cases. Although the class pays particular attention to business reorganizations under Chapter 11, the course will also include sessions devoted to consumer debtors. Legal issues under the Older Americans Act; health care benefits; nursing home issues; Social Security Act benefits and hearings; and older client family law matters. This course reviews the law as it relates to the laws of marriage, annulment, divorce, child custody, and adoption. Expansion on Community property to include fault and no fault divorce, custody and related law. This course focuses on the art of negotiation, theories, techniques, and the settlement conference. The aim of the course is to increase students’ awareness of communication and negotiation skills. The course focuses on creating an understanding of the issues of communicating including verbal and non-verbal communication and with different managerial styles. Intensive skills focused on litigation practice at the trial court level, involving oral arguments, witness examinations, in-limine motions, objections, and interactions of counsel, expert witnesses, and jury selection methodology. Enrollment in or the completion of Evidence is a prerequisite for the course. Financial and contract law issues related to transactions involving real property, long-term leases, and foreign investments in land; representation of lenders and investors in financing developments in undeveloped land. The law as it relates to the basics of estate planning, a subject that many people fail to address as they approach retirement. It will familiarize you with the essential objectives of estate planning, its unique vocabulary, and the devices used to distribute property as intended by its legal owners while minimizing costs and taxes. Recent legal decisions and issues under the Federal and State EPA acts; endangered wildlife species protection laws; and Native American protected sites. Intensive development of writing skills in preparation of appellate briefs; review of California approved citations for appellate writing; formulation of specific appellate project brief in selected legal area. Legal issues involved in electronic communications; recent case decisions regarding responsibilities of providers of information or entertainment in web formats; individual privacy, employer rights, and copyright issues. Introduction to the practical business skills and legal issues involved in small law office operations. This course is designed to examine all avenues of appellate advocacy, both state and federal, with a primary emphasis on the art of argument. While argument in trial courts and other venues will be addressed, the emphasis of those topics will be on the creation or presentation of a record for appellate purposes. The course features numerous exercises, both oral and written, and student participation in those exercises is required. This course examines practical considerations focusing on law office management, litigation management, and corporate practice. An introduction to the essential legal concepts involved in risk management and underlying regulatory, judicial case law and statutory law governing insurance contracts. The Law School’s Internship Program invites students to experience legal practice while enrolled as a law student. Students apply newly acquired legal knowledge to real world problems and this experience enriches the classroom experience. This synthesis of theory and practice builds professional confidence and competence. The rules of evidence including relevancy, hearsay and its exceptions, the best evidence rule, impeachment and rehabilitation of witnesses, presumptions and burdens of proof. The purpose of this course is to prepare the Attorney for the competent presentation of evidence in the courtroom. It will focus on the comparisons and differences between the Federal Rules of Evidence and the California Evidence Code. This course introduces the student to the tribal law system as it is currently structured within the State and Federal jurisdictional systems; treaties and compacts governing tribal relations to States are presented; and significant modern caselaw interpreting Constitutional issues. A foundational course for students in employer-employee relationships as represented under judicial federal and state case law, administrative agency guidelines and NLRB rulings. It also presents FLSA, ERISA, and OSHA aspects of employee law. Workplace privacy, discrimination, and independent contractor areas are covered.